The Machinists Union is mobilizing its membership and working with elected officials to fight against the latest round of announced layoffs to strike Red River Army Depot (RRAD) and the Texarkana, Texas community. Base command on July 16 announced plans to lay off 207 defense contract employees and 98 federal term employees by Aug. 31, 2018. If the layoffs proceed, more than 900 RRAD federal and contract workers will have been let go in the last four months. Martinez and Erwin sent joint letters on July 31 to members of the U.S. Senate and House of Representatives expressing concern about the impact of the layoffs at RRAD and requesting political assistance in stopping the harmful layoffs. The IAM lobbied successfully to include an amendment in the National Defense Authorization Act requiring each branch of the military to complete a long-term study of depot maintenance workforce needs. The IAM has met multiple times with congressional delegations in Texas, Arkansas and Oklahoma to protect jobs at RRAD. As a result of the IAM’s efforts, six U.S. Senators sent a letter on July 12 to the commanding general of the U.S. Army Materiel Command to bring the necessary work to RRAD to stop the dismantling of the highly-skilled workforce. U.S. Rep. John Ratcliffe on July 26 sent a letter with three other members of Congress also asking the commanding general to seek alternative work for the depot. A University of Arkansas economic study commissioned by the IAM shows that the previous round of layoffs alone, totaling 585 jobs, would slash the region’s economic output by $255 million and result in the loss of more than 400 jobs in the community. The Machinists Union and its affiliate, the National Federation of Federal Employees (NFFE-IAM), represent approximately 2,200 employees at RRAD. IAM Local 1243 represents federal contract employees and NFFE-IAM Local 2189 represents federal term employees. 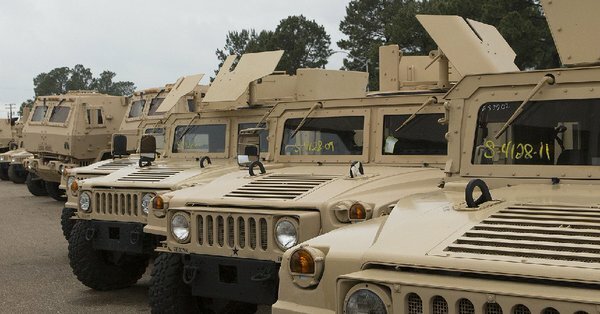 Red River Army Depot, established in 1941, is a U.S. military combat system and tactical vehicle repair and maintenance facility in Texarkana, Texas.